The Chinese company Ant Financial is intensifying efforts to buy the American company MoneyGram International. MoneyGram is the world's second-largest money transfer company. Western Union is the largest. Ant Financial has been linked in media reports to the Chinese company Alibaba. 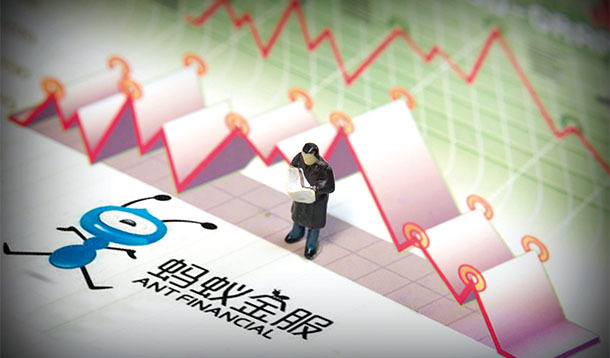 Ant Financial has offered to pay $1.2 billion more for the company than Euronet Worldwide, a company making a competing offer. Euronet is based in the United States. MoneyGram has a network of 350,000 places where people can send and receive money. These include stores, post offices and banks in 200 countries. Ant Financial's business is now mostly in the Chinese currency, the yuan. If it is able to buy MoneyGram, Ant Financial would be able to use American dollars and control accounts that are used to hold and manage the company's money. After Euronet offered to buy MoneyGram in March, Ant Financial increased its offer by 36 percent. This decision confirmed that it was determined to buy MoneyGram and begin competing with Western Union. However, Euronet has not stopped efforts to buy MoneyGram. It is warning that if Ant Financial is able to buy the company it will have a huge amount of information about the company's customers. Euronet says this is a security risk. If Ant Financial's offer is accepted, the deal must still gain the approval of the Committee for Foreign Investment in the United States, known as CFIUS. Some experts believe this would be the first test for a Chinese financial company seeking to do business in the U.S.
Jeffrey Towson is a professor of investments at Peking University's Guanghua School of Management. He told VOA that "getting approval from CFIUS might be more difficult this year. Plus, Chinese acquisitions are more on the media radar than before. And finally, there is also a competing bidder, Euronet, and they will probably push for a regulatory denial based on security concerns." Kevin Yoder of Kansas and Eddie Bernice Johnson of Texas are members of the U.S. House of Representatives. They have written to Treasury Secretary Steven Mnuchin about the possible purchase of MoneyGram by Ant Financial. They wrote, "The proposal merits careful evaluation as it would provide Chinese access to the U.S. financial infrastructure, a move that would pose significant national security risks if completed." Ant Financial has said that MoneyGram information will be stored in secure computer servers in the United States. And in a letter to people who own shares in the company, Douglas Feagin said MoneyGram will "continue to be headquartered in Dallas and run by its current U.S.-based management team after the deal closes." He promised that Ant will "continue to invest in MoneyGram's systems and compliance programs." Alibaba Group chairman Jack Ma was among the first to visit Donald Trump after he was elected president. Trump met recently with Chinese president Xi Jinping, and later said he no longer considers China to be a currency manipulator. Some experts believe these developments may help Ant Financial. Peter Fuhrman is the chairman of the company China First Capital. He says although CFIUS has denied "quite a few recent attempted Chinese takeovers, there isn't an obvious national security case here as to why they should stop the transaction." Jacob Kirkegaard is with the Peterson Institute of International Economics in Washington. He says Alibaba knows about internet financial transactions. He added, "I have no doubt that they can execute the deal and ensure integration." Ant Financial was part of Alibaba, China's biggest online seller, before Alibaba sold ownership shares to the public on the NYSE stock exchange in 2014. Ant Financial did not answer questions from VOA. Instead, it said VOA should read earlier statements the company has made. A public relations company working for Ant Financial said the company has no relationship with Alibaba. It refused to make additional comments. But several analysts, and most recent media reports, say Ant Financial is linked to Alibaba. The London Stock Exchange is in turmoil today. He sent off copies to various people for them to read and make comments. Public relation of police is a ramification of modern public relations. I have no way yet as to how to deal with such a complicated situation. 1.A public relations company working for Ant Financial said the company has no relationship with Alibaba. Before the emergence of feminist theory, translation theory and practice seemed to have no relationship with gender. As our reformation goes further, foreign related litigations piles up, which have no relationship with our nation. 2.He added, "I have no doubt that they can execute the deal and ensure integration." I have no doubt that we are polluting the environment beyond redemption. I have no doubt that the man is guilty and that he deserves punishment.